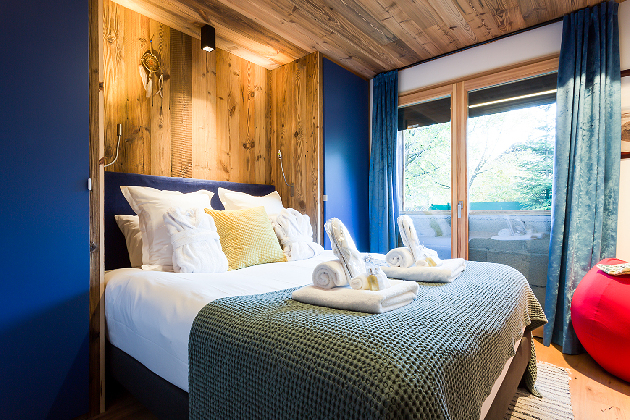 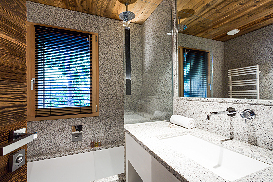 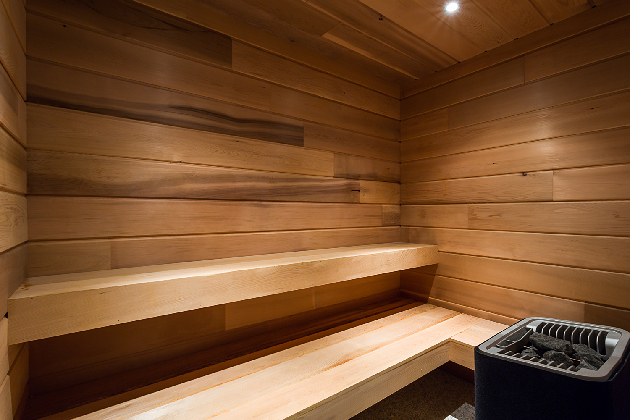 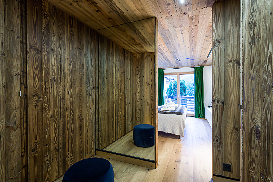 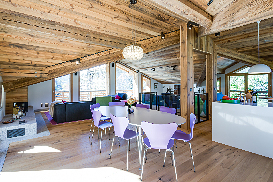 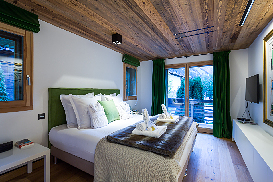 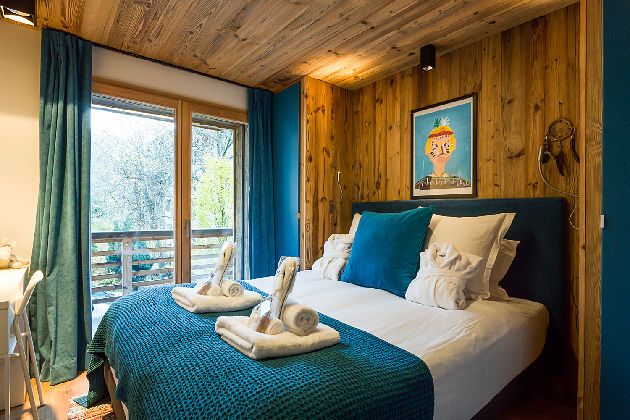 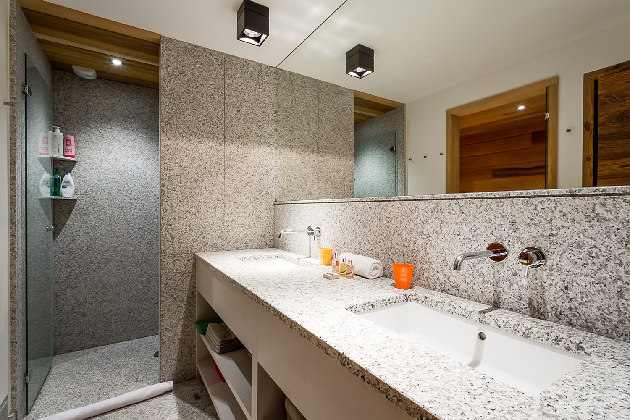 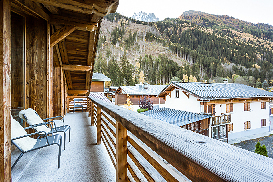 This chalet has been build with elegance and style throughout and includes all the modern comforts we love. 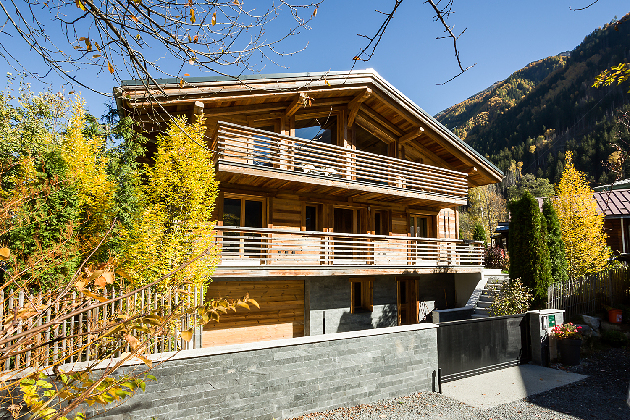 The top floor is dedicated as a vast and very light living space, with seperate kitchen, dining TV and lounge areas all blending in a lovely open plan style with gret volumes, mountain charm and stunning views. The addition of a magnificent gas fire makes this a truly cosy and exceptional room. 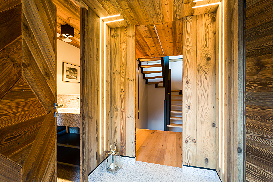 The living space is comprised of a master bedroom and bathroom with dressing room, two further double bedrooms practically sharing one double sinked bathroom and then a kids room that sleep 4 in comfort in a great configuration that they will love along with a further bathroom and sauna. 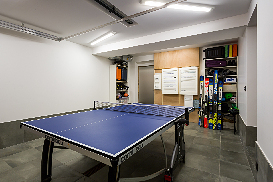 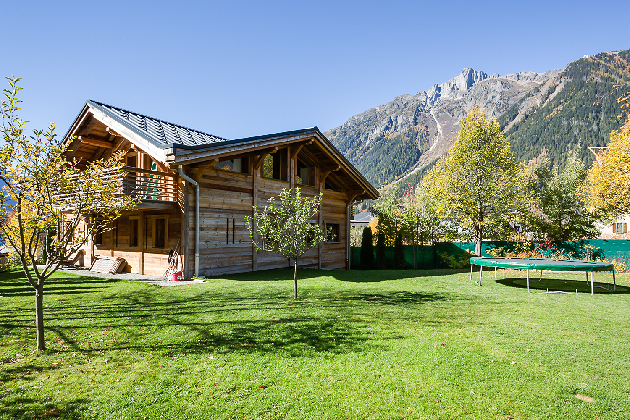 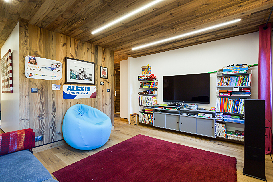 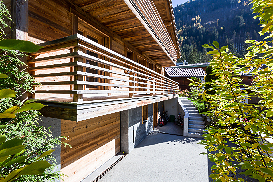 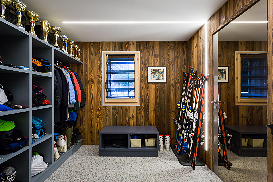 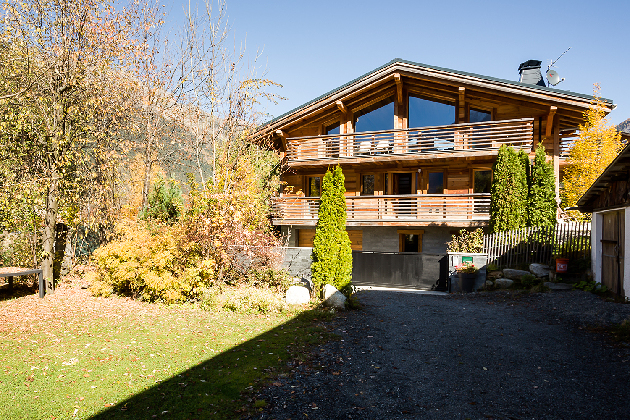 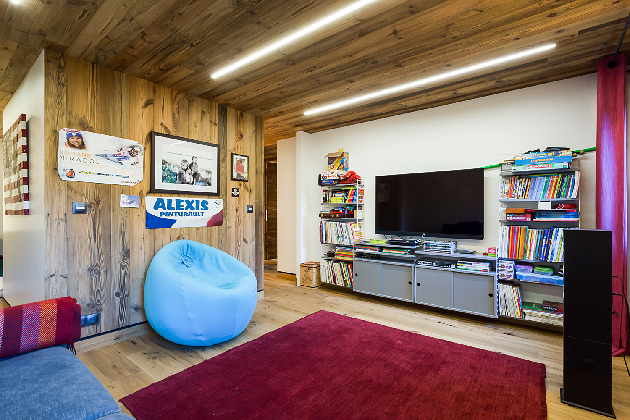 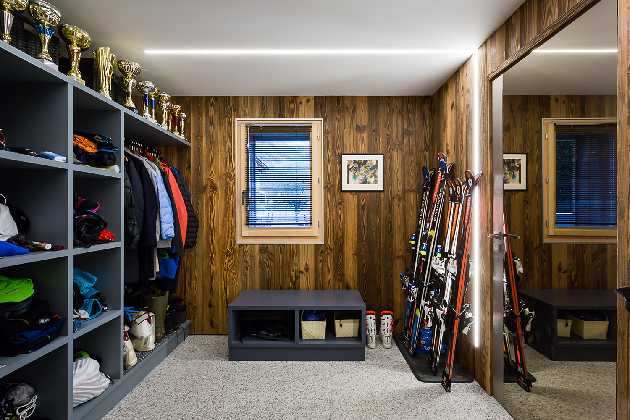 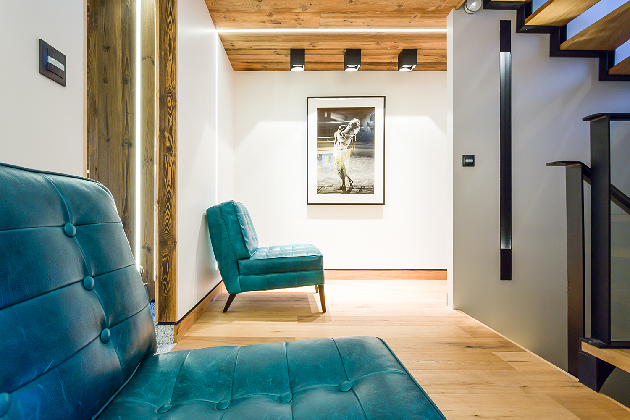 To complete this chalet there is a seperate and well stocked Games and TV room as well as a ping pong available in the garage and of course a dedicated boot and ski room. 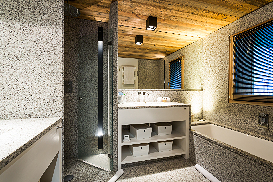 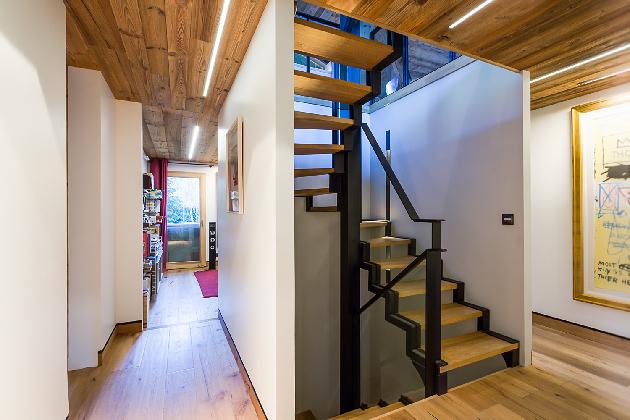 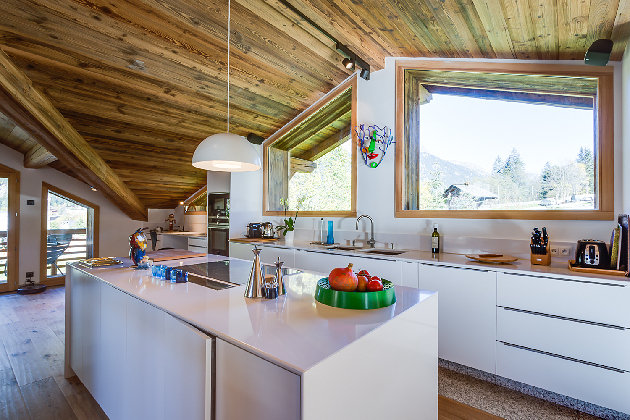 The overall feel of this chalet is of a very lovely light and comfortable home, built with great style, holding true to the mountain heritage but at the same time integrating modern touches and comfort throught - to be lived in and enjoyed. Click for Prices and Availability for Chalet Abitibi now. 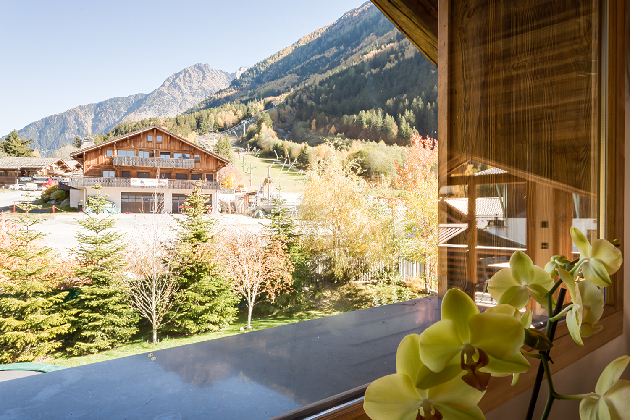 Welcome Pack - A fine selection of local products.